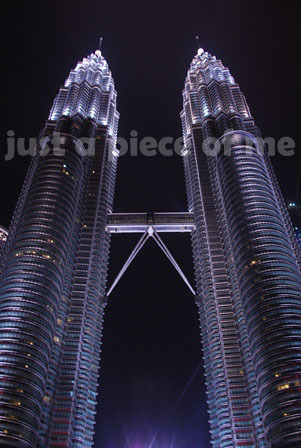 As I was preparing our IT for our trip, I make sure that we’ll see the beauty of Petronas in day and night. Based on what I have learned from the forum, long queue starts at 6am. It was based on the experiences of my fellow pexers who had been there that early and ended up taking the tour in the afternoon. Since I didn’t like to spend time waiting in line with heavy luggage, I decided to leave it at our hotel. Then we hurriedly went back to the station. 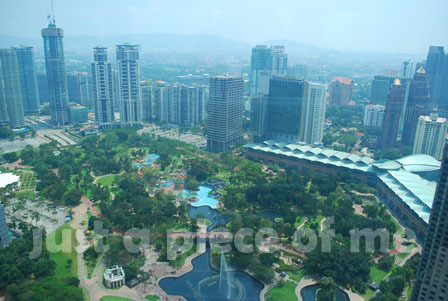 From Bukit Bintang station, we took the train to Titiwangsa, got-off at Bukit Nanas station. Walked around 10 minutes in going to the next station, crossed the overpass and went inside Dang Wangi station. 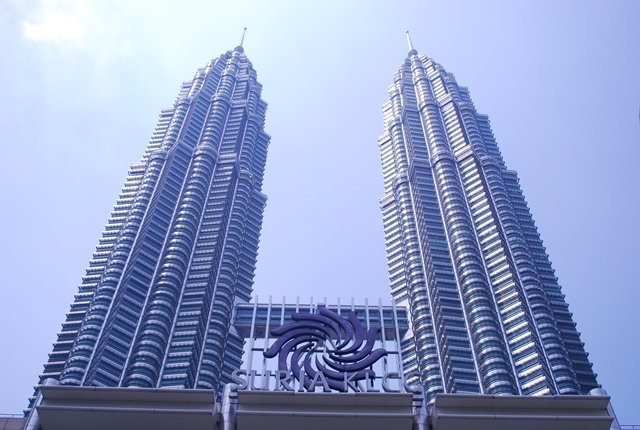 Then took the train to Putra and alighted at KLCC station in 10 minutes only. We ran our way to the ticketing office hoping that a short queue awaits us. When we reached the basement at around 7:30 am, the queue was bearable, not that long… We had to wait until 9 am for the ticketing office to open. Hello Mr. Boredom! We had our breakfast (hotdog sandwich RM3, coke in can RM2.20, bottled water RM1.20) while on queue. When the ticketing counter opened at exactly 9am, a Malaysian guy started to give numbers. 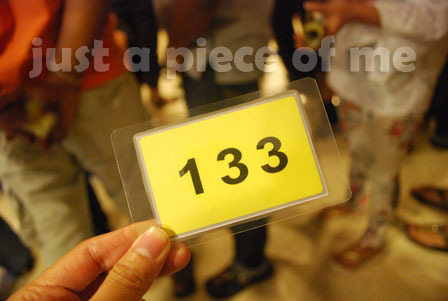 We got number 133! Whew, not bad! There were only 132 persons ahead of us. 🙂 We were able to got tickets at around 10:30am but the skybridge visit schedule we had was for 1:20pm. 😦 I thought we would be able to go to the skybridge in the morning. 😦 Oops, by the way the Skybridge Tour is no longer free. 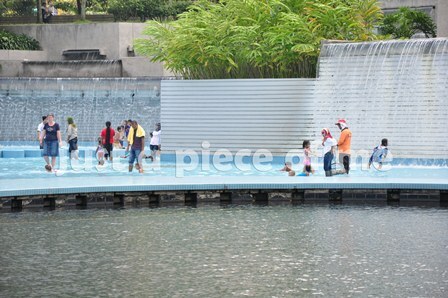 It’s RM10 for adults and RM5 for children. After getting the tickets, we were reminded by the receptionist to be there at least 10 minutes early. There were a group of tourists who approached the staff and asked if they can still come for the visit. When the staff checked their tickets with schedule in it, they were not allowed to enter because they were late for an hour! 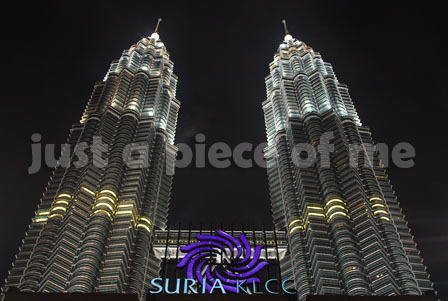 @_@ Thinking that we still have 3 hours to spare, we checked KLCC Suria (the mall), which has high end shops! Hermes, Gucci, LV… name it, you’ll find it there! But taking photographs is strictly prohibited except at the Concourse Level and at the Third Floor. We were curious for an answer but having no one to ask, we just made speculations of our own. Lol! At the third floor, you can find the food court where different kinds of food can be found. We had a meal for RM5, no drinks included though! Water is not free, mind you! 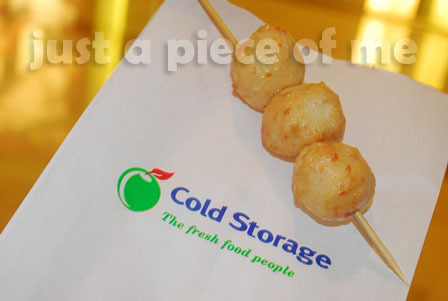 Cold Storage is located at the concourse level. 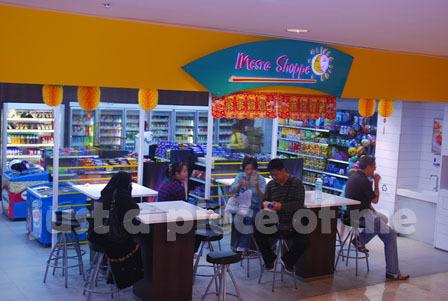 It is a supermarket where customers can expect to find an international range of delicatessen, organic food, cheese, spices, sauces, special cuts of meat, wine and dairy products items that are not available in other supermarkets in Malaysia. 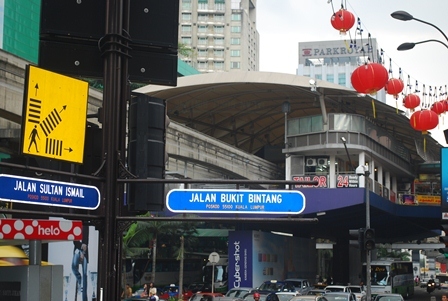 Since we wanted to be familiarized with the routes, we walked our way to Bukit Bintang. Following the road signs made our journey longer than what we expected. 😦 Upon arriving at the hotel, we just took a bath (darn! the last time we had one was yesterday before we arrive in SG!) then headed back to KLCC via train! 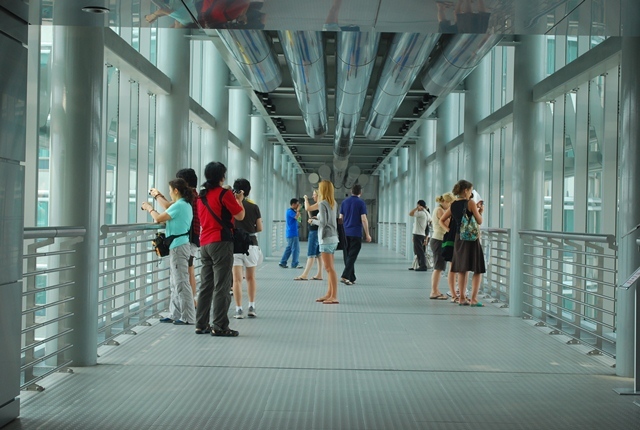 Of course, we didn’t want to be late and miss the chance to be there at the skybridge! We just arrived on time, our group mates including the Dutch man we met were also there. Tripods, bags, food and drinks are not allowed but they have this baggage area where prohibited things can be left. 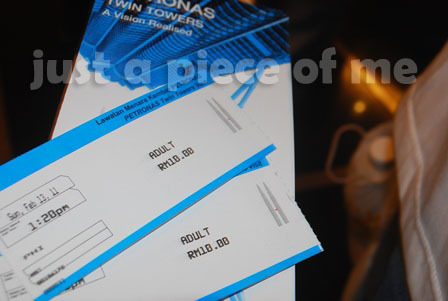 We were taken by the elevator at the 42nd level of Petronas in just 15 seconds! Wow, what a ride huh! 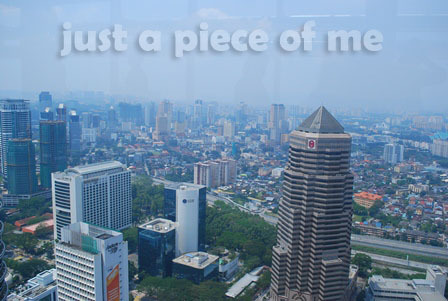 The view from the skybridge was breathtaking and being there for only 10 minutes was not enough! I hope they can extend another 10 minutes for the skybridge visit so that the experience would be worth it! The Skybridge visit is closed every Monday. Ticketing office opens at 9:00 am. Go there as early as 6:00 am. 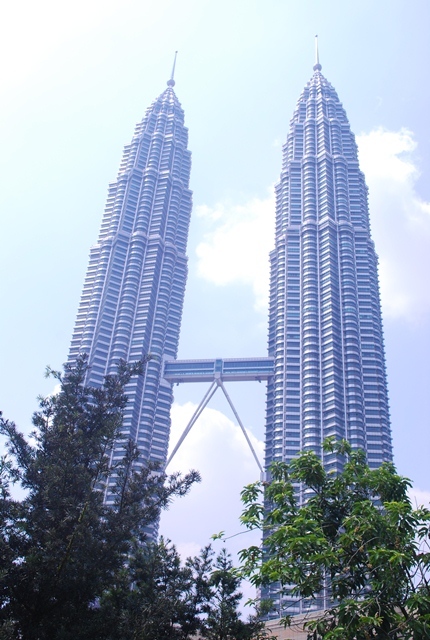 There are many ways on how to reach Kuala Lumpur from Singapore. You can take the plane, train, coach or bus in getting there. For budget travelers like us, we opted to take the Bus 170 to Johor Bahru then take another bus to Kuala Lumpur. That is the cheapest way to go to Kuala Lumpur however alighting at Singapore and Malaysia checkpoints are needed. Prepare your passports as well as travel documents like plane tickets and hotel reservations for assessment of immigration officers. Upon arrival at Changgi Airport Terminal 2 and as soon as we got our baggage, we headed to the right side where escalators leading to the MRT can be found. 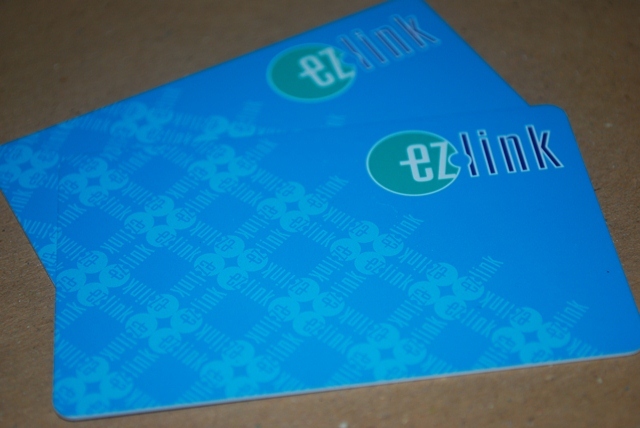 I bought 2 EZ Link Cards which cost $12 per card. It has a $7 stored value that you can use for trains and buses while the remaining $5 is the cost of the card which is non-refundable. To make sure that we’ll not run out of card loads, I paid additional $10 (minimum) per card for the top-up. We took the train to Tanah Merah, alighted the train and waited for another train to Joo Koon (EW Line). BUGIS Station is where we supposed to alight but we almost didn’t. Thanks to the Indian guy sitting right next to me who said “You go to Bugis right? It’s Bugis.” Since there was no time to argue, we just followed him as he alighted the train. To our surprise, he’s right! We’re at Bugis station. After thanking him, we wondered how did he know that we’ll be going to Bugis. Well, he was the guy at Tana Merah station, seated near the map that we we were looking at. Maybe he overheard me telling hubby that we’ll be alighting at Bugis station. Wow, he’s such a nice guy. 😉 Thank you sir! 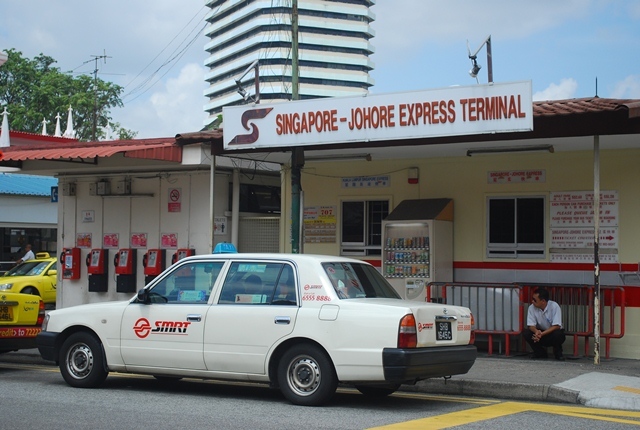 There are taxis and buses that you can take in going to Johor Bahru but taking the former would burn a hole in your pocket. 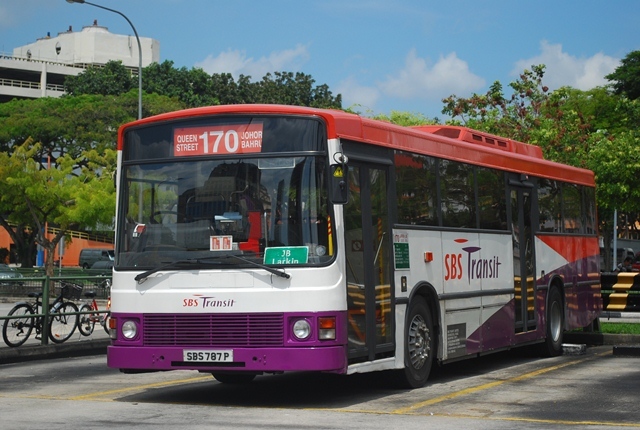 🙂 The cheapest option is taking SBS 170 for it only cost $1.88 using your EZ link card and $2.10 using cash but be ready for having many stops. The last SBS 170 departs the terminal at 12:30am. 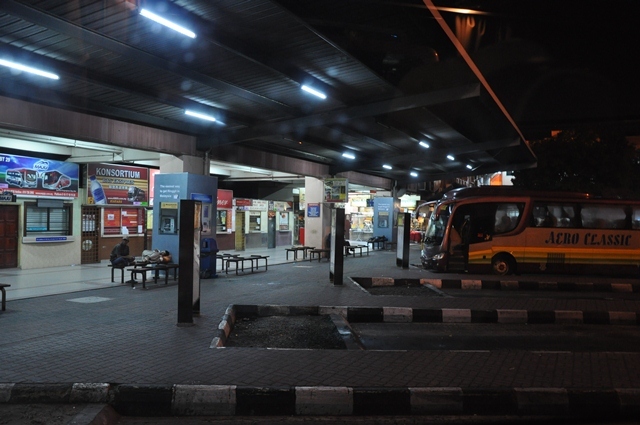 It is the cheapest way to KL because at Larkin Bus Terminal, you would spend ringgit in buying tickets. But if you were in a hurry, I would suggest to take the Causeway Link for $2.50 per ticket for it only has a fewer stops compared to Bus 170. Or you can wait for the SBS 170 at Kranji MRT Station. Then, the long journey begun… We were too anxious if we were riding the right bus and heading to the right place. 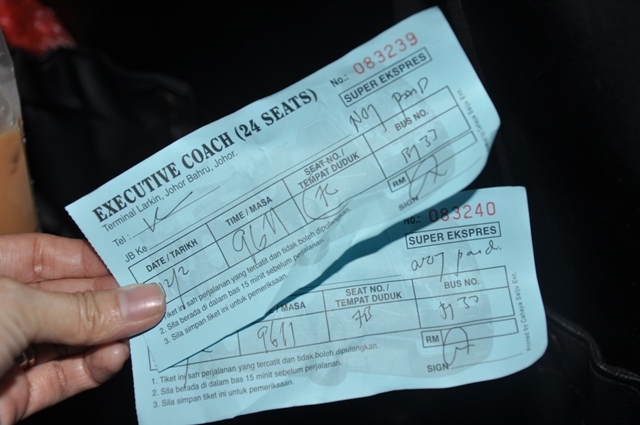 To make sure, I asked a local seated in front of us if the bus would be going to Johor Bahru. He answered “YES”. It was getting late then, since we had no dinner before leaving for JB, we could eat a horse! 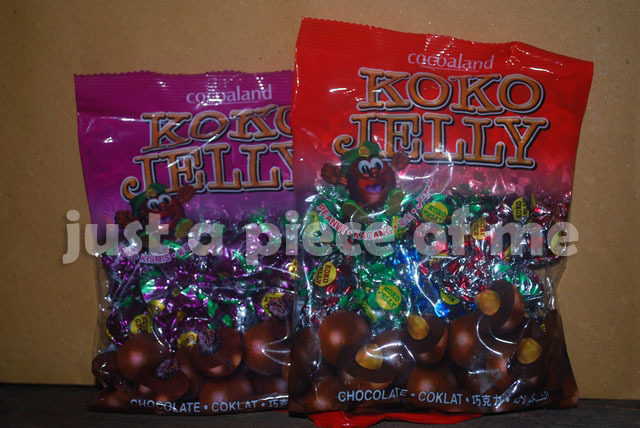 We were saved by the cupcakes and conjac jellies which I bought at Puregold the day before we left for our trip. 😉 It took us around 1 1/2 hours before we reach Woodlands Immigration. We had to tap the ez link card upon alighting the bus then we made our way to the immigration. Note: Taking of photographs at the checkpoints is prohibited. You’ll commit a crime if you do so. Prepare your passport with the departure card (small part left by the immigration officer in the airport). Aside from that, you can also have in hand the plane tickets and reservation forms. 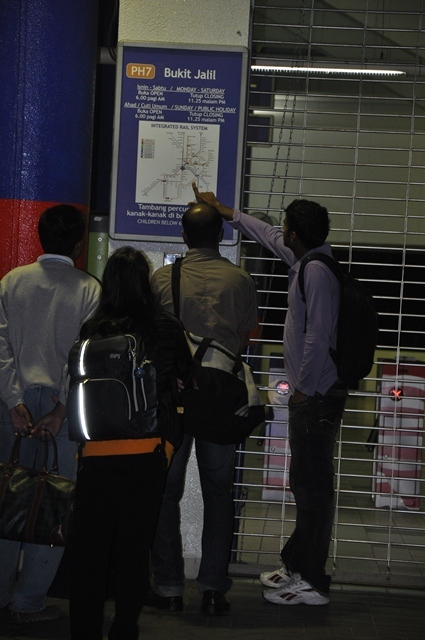 As you exit the immigration, go to your left, take the escalator in going down and proceed to the bus stop. Queue on the lane for BUS 170. Remember to tap your card again as you get on the bus. 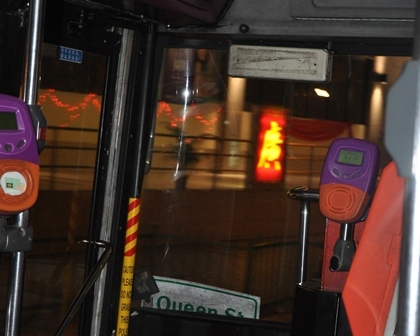 If you paid through cash, keep your ticket and show it every time you get-on the bus. 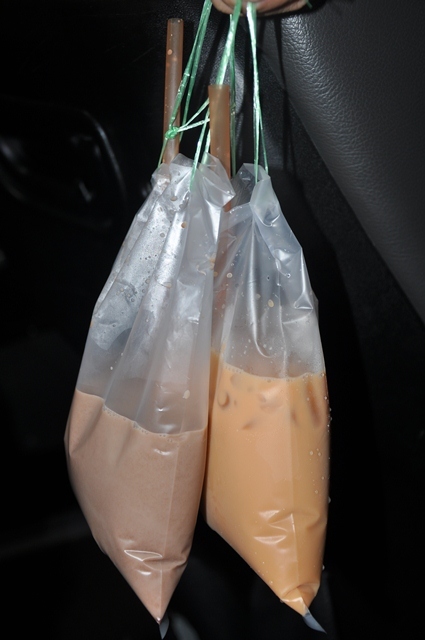 It would only take 15-20 minutes to reach the next stop, Johor Bahru Checkpoint. 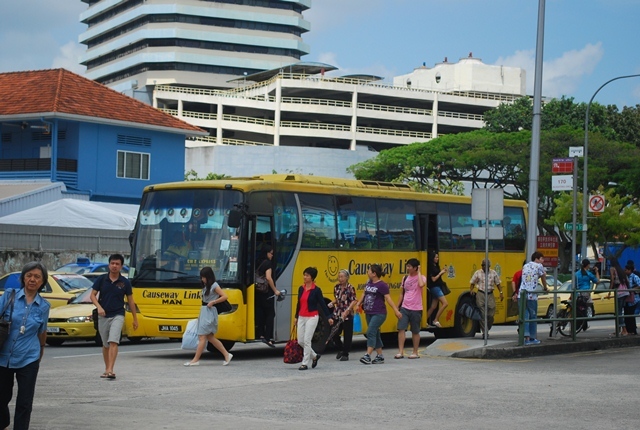 You have to get-off the bus again, go up and have your documents checked by the immigration officers. Before you queue and give your passport to the immigration officer, go to your right side and fill-out a form, Malaysia departure form. There’s an officer at that counter who you can ask for some help on what to write on some parts of the form. 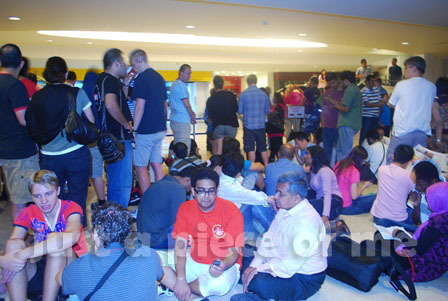 After filing it up, queue and give your passport as well as the filled-out form to the IO. Once your passport is stamped, go to your left side again, take the escalator in going down and wait for Bus 170 at the bus stop located at the ground level, left side. 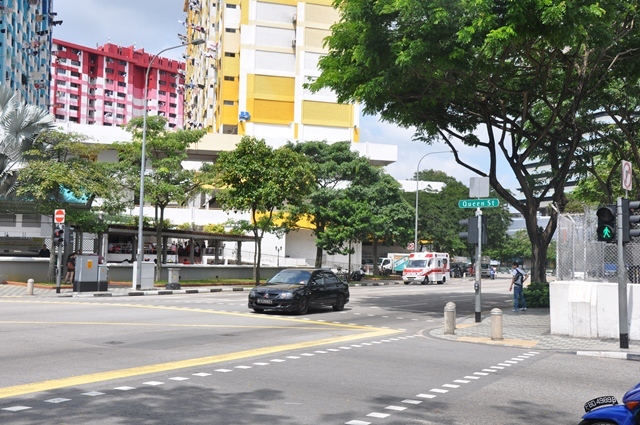 Tip: You can ask the IO or the police officers the way to the bus stop. Traveling in a foreign land for long hours most especially at night stopped me from sleeping. I tried to be awake as far as I can but due to tiredness I fell asleep for an hour. In going to Kuala Lumpur you’ll see many trees along the way. I wonder if there were people living there. 10 minutes prior to our arrival to Bukit Jalil, I was awake. The driver was telling all the passengers to get off the bus. 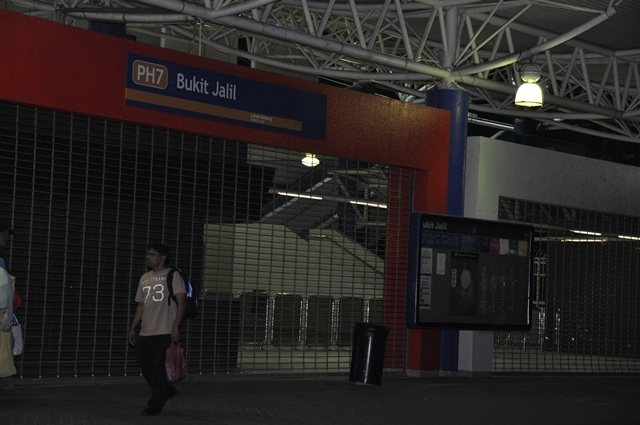 As far as I know, Bukit Jalil terminal has counters and buses but when I checked the place, it has none. When I asked him if it’s really Bukit Jalil, he said yes. Out of confusion, the other passengers got-off the bus. The Indian driver cannot converse well in English that’s why many of us decided to leave and find the way ourselves. After a few minutes of observing the area, I noticed that there was a huge dome-like place across us. Hubby and I went to the place and found out that it was a MRT terminal, Bukit Jalil terminal. 😉 Since it would open at 6am, we waited for 30 minutes outside with other passengers. We met some Filipinos (OFWs) working in Singapore, who would be going to KL (they were not familiar with the place they would go) for a religious group seminar. They decided to take the teksi and leave the terminal. Finally, as soon as the terminal was opened, we bought two tickets to Hang Tuah interchange and from there we transferred to another train to Bukit Bintang. 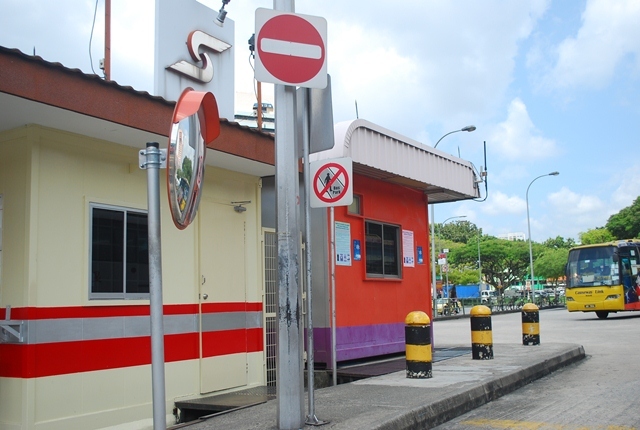 Note: Bukit Jalil Bus Terminal is already closed as of March 01 however Bandar Tasik Selatan Integrated Transport Terminal (BTS ITT) started their operation. 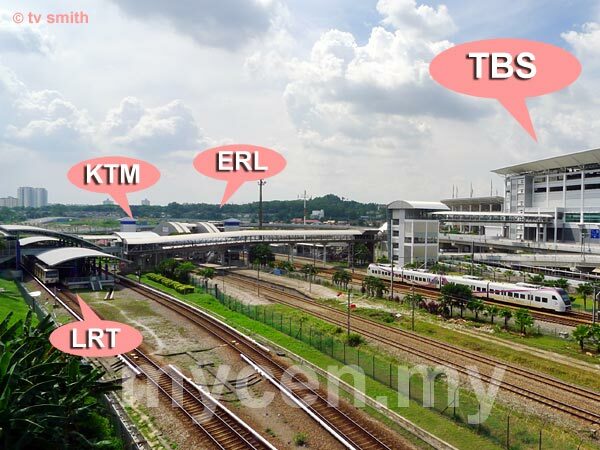 It is located next to the existing Bandar Tasik Selatan LRT Station (Star LRT), the Stesen Komuter KTM Bandar Tasik Selatan and Express Rail Link (ERL) KLIA Transit Station. Download the KL train route map here.